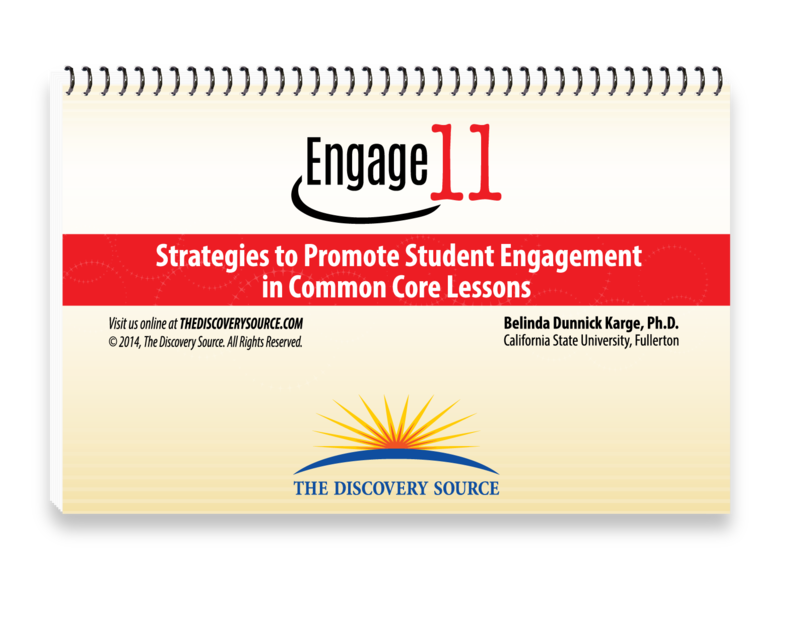 It’s no secret that the Common Core standards shine a big spotlight on the value and measurement of student engagement; after all, student engagement = student achievement. 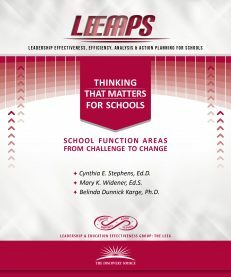 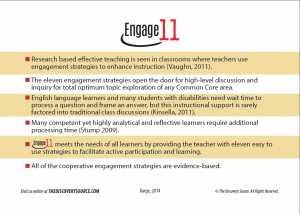 As a result, if there were ever a time in your professional development to learn how to better facilitate active classroom participation with high-level discussion and inquiry, it is now. 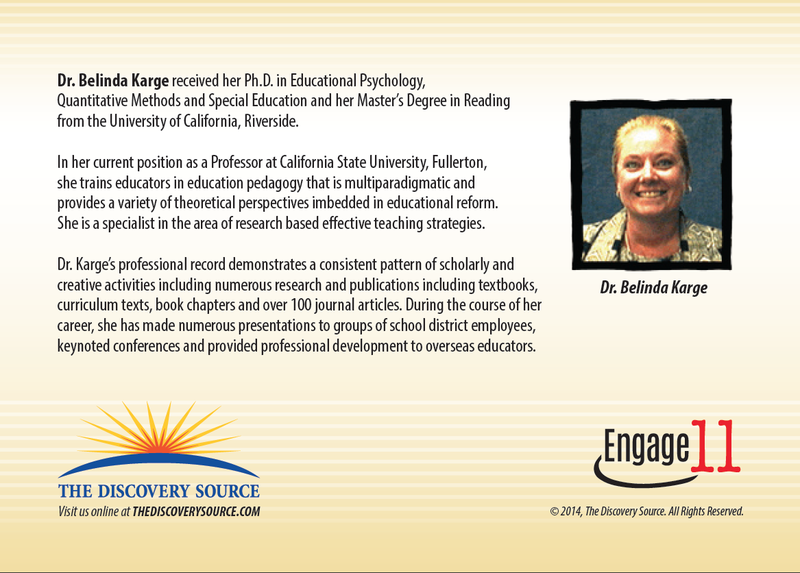 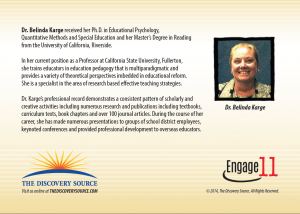 Let Dr. Belinda Karge’s many years of expertise in teaching pedagogical strategies help guide your student engagement efforts in the classroom. 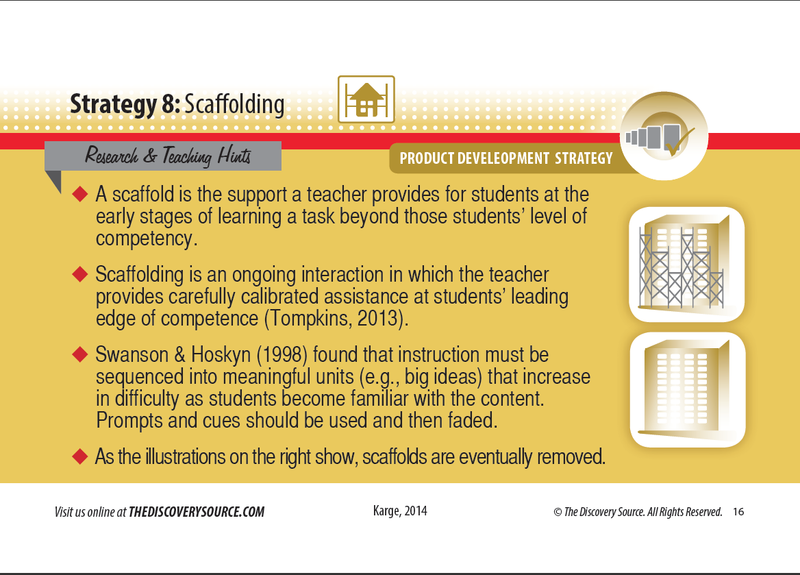 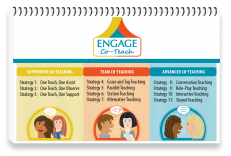 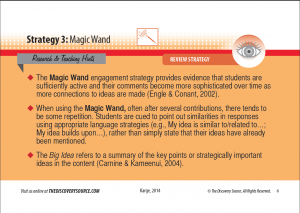 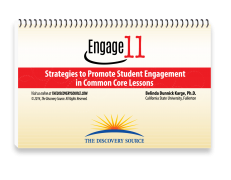 Engage 11 supplies you with a laminated desktop teaching tool of 11 strategies to engage students, and make learning come alive! 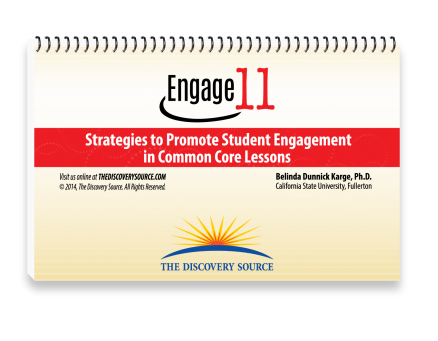 Save tons of time and avoid common mistakes by implementing what has been proven by meticulous research to work and get results. 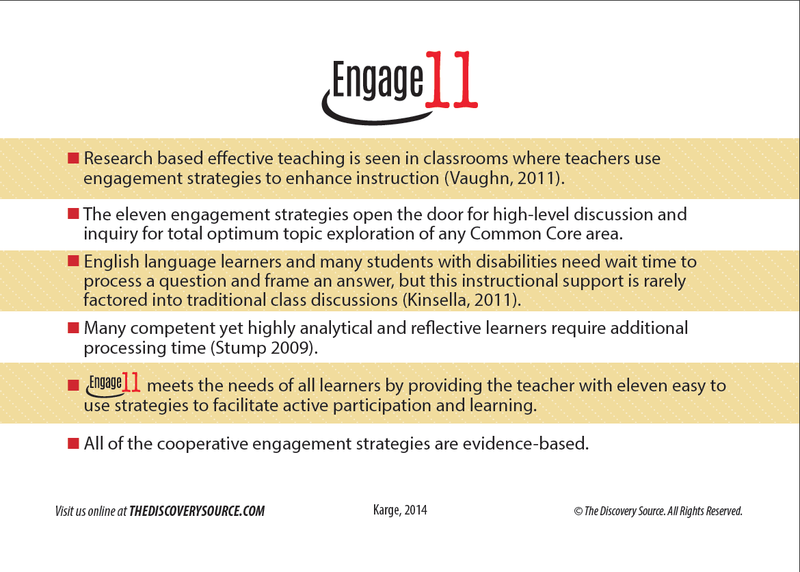 What’s Engage 11 all about? 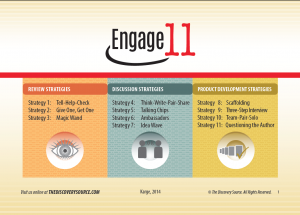 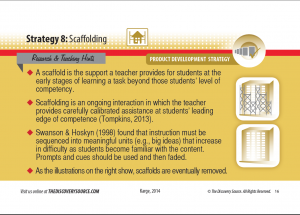 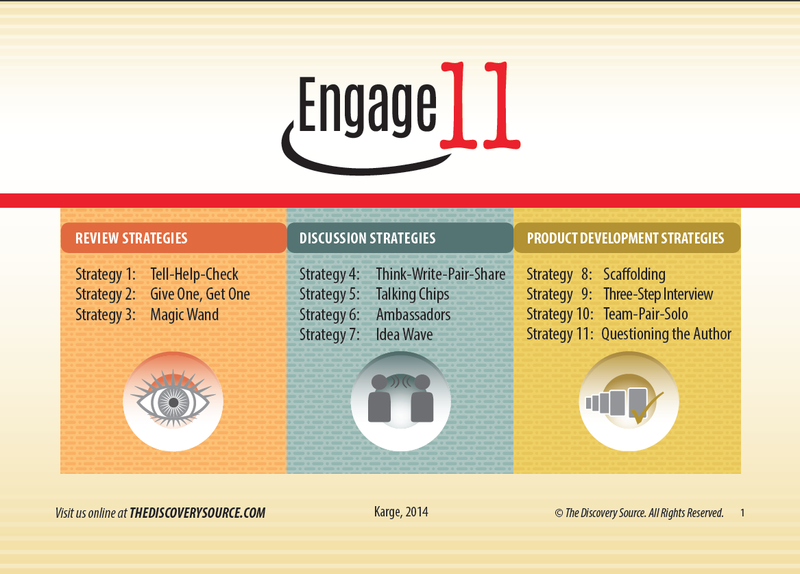 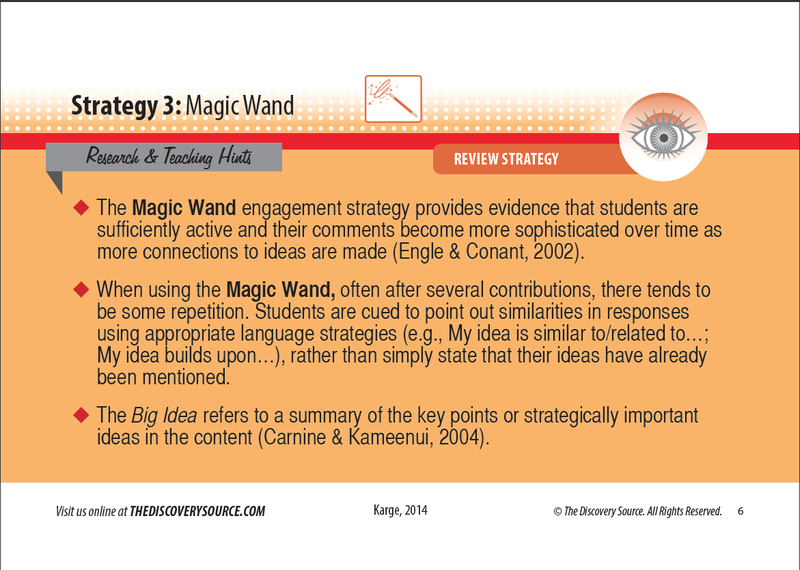 What are the strategies behind Engage 11?